Merciful heavens, but this was one hell of a ride… I love Dean Koontz – have for years. I recently rediscovered him after a somewhat lengthy (for me) break with Ashley Bell, and was reminded why he has long been one of my favorite escape authors. When I saw his latest was available on NetGalley, I jumped at the chance to read it ahead of its release date. I have really never been disappointed by him. I know a lot of people have complained that a number of his books feel too similar, that there are tropes (like the oddly-smart and self-aware dogs that recur regularly) that he over-relies on, that he’s Stephen King Light. To all those people I simply say: Hush. There are similarities between some of his books, but I never found them derivative; ditto on the Stephen King comment. And I like the dogs. So leave Mr. Koontz alone and enjoy his books for what they are – deliciously dark, suspenseful, easy to read stories about things that go bump in the night, both human and not-quite-so-human. On to the new book. First let me say that Jane Hawk is a FABULOUS character. She’s dark and complicated and brilliant and a perfect protagonist for a series about the incredibly (yet unfortunately all too believable) scary potential consequences of technology… The book pummels you with whip-crack twists and turns from the beginning. Jane is on the run – but from who? and why? and what on Earth is going on with the trend in utterly inexplicable suicides with bizarre notes, like those in the opening block quote? As Jane runs – isolated but not entirely alone, paranoid but not paralyzed, in the dark but not blind – the suspense thickens like winter honey, and it is every bit as sweet. 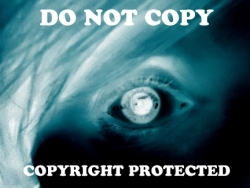 investigation almost immediately resulted in threats of the worst possible kind to her small son – is a quest that will take her off the grid and into dark holes of humanity (and inhumanity). Who – and what – can be trusted when everyone is hiding something? There are so many things going on here – cutting-edge science, power-hunger, fear-mongering, threat assessment and neutralization, family loyalty (both the kind you are born to and the kind you make for yourself)… Every single one of them is handled deftly and with a cutting edge that keeps you on tenterhooks throughout the entire novel. This is what it means to be a master of suspense: the ability to deliver, page after page, a story that will NOT let you go, no matter how much you may want to run. 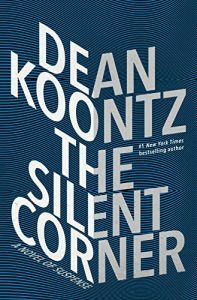 Critics take note – Koontz is in as fine a form here as he’s ever been, and that is mighty fine indeed. I cannot WAIT for the next Jane Hawk book. I’m hoping I’ll get lucky on NetGalley again, because the thought of waiting a year for the next installment is depressing in the extreme.